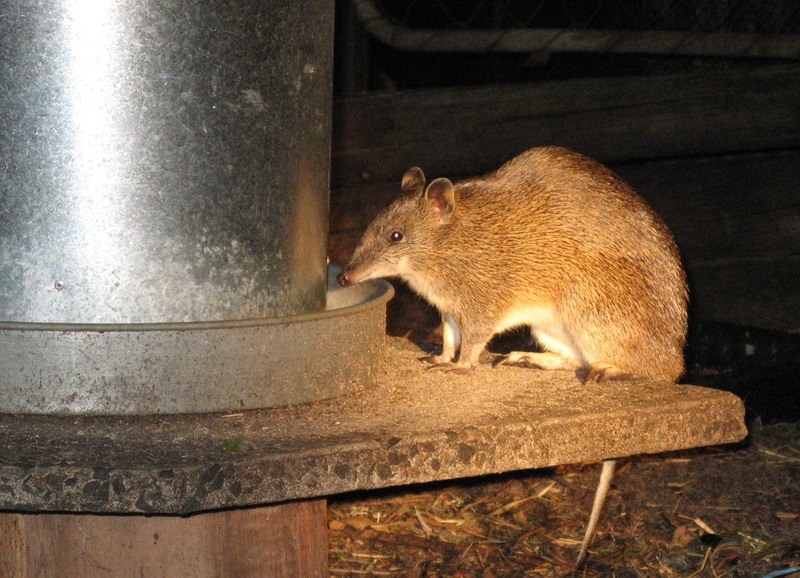 We quite often see quendas, Southern Brown Bandicoots, but this one has invited itself to dinner in the poultry run!! 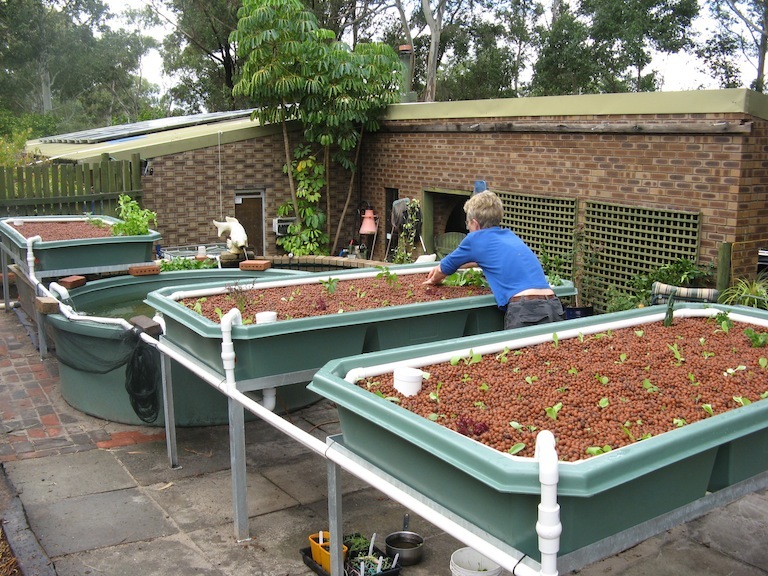 In not too long at all, we finished preparing for the aquaponic system……. Once we had finished all the ground work- a retaining wall (two in fact), about 100 slabs, lifting and relaying pavers, moving the biofilter…..the system was set up by Backyard Aquaponics …. 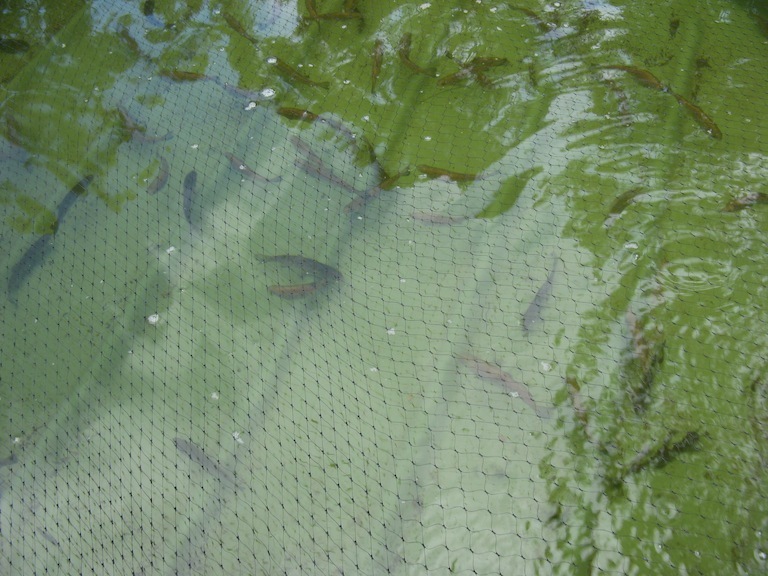 Then we had a trip to buy some fish, deciding on 50 trout, which struggled a bit on the trip but revived once in the tank. 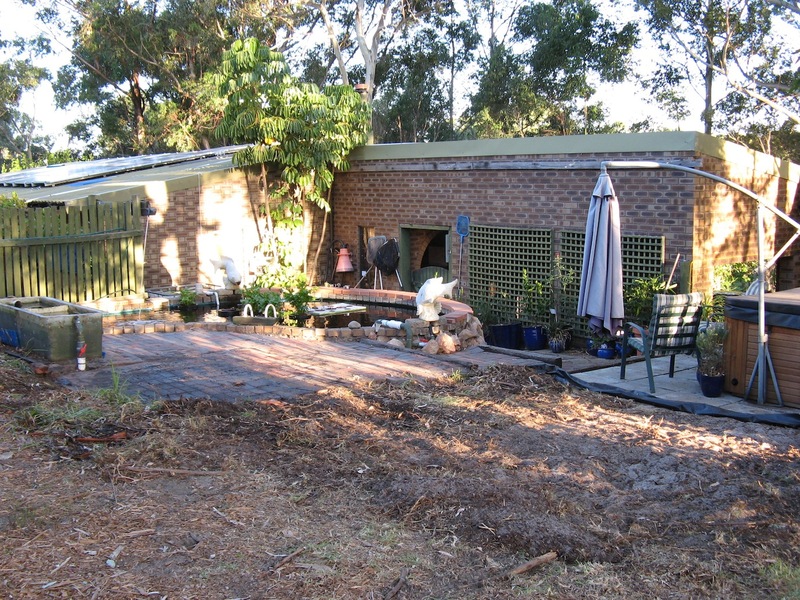 Of course, most projects have setbacks– and this one did too!! We lost 20 fish overnight as they tend to leap high into the air…and clean out of the tank! 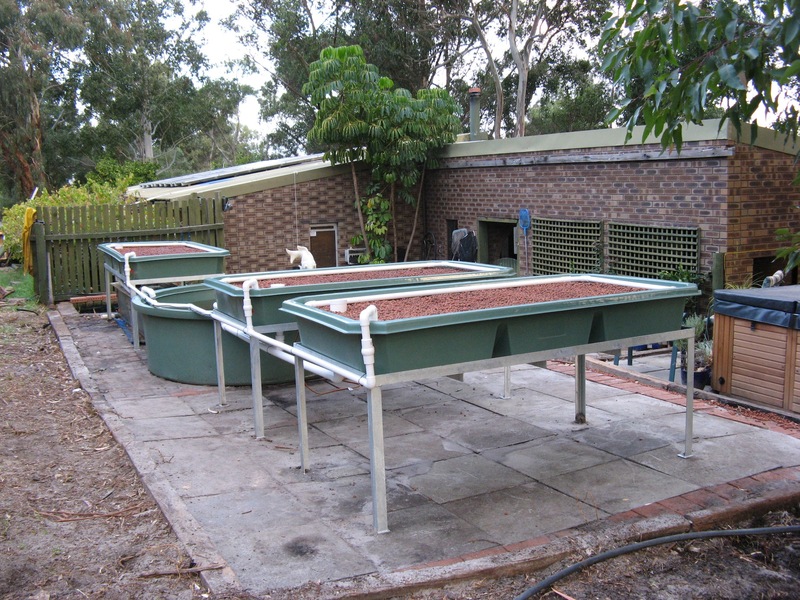 This resulted in another trip for more fish, and a net to cover the fish tank, something we should have thought of in the first place!